Grace of Monaco – the Grace Kelly biopic which stars Nicole Kidman – has been chosen to open this year’s Cannes Film Festival. 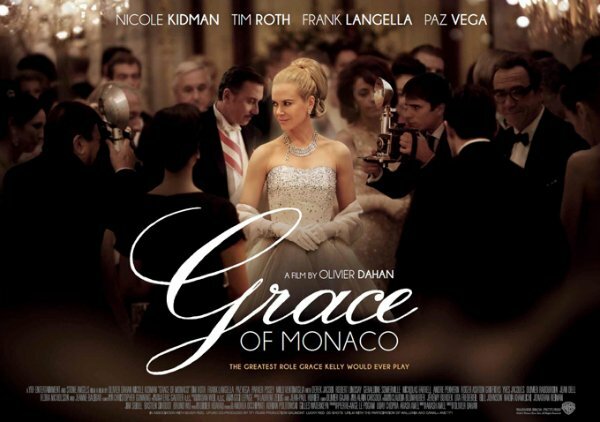 Early reviews of Grace of Monaco have slammed the film, with one describing it as “a timeless camp classic”. Set in the 1960s, Olivier Dahan’s film focuses on the early years of Grace Kelly’s years as a princess when she was tempted to return to Hollywood by an offer from Alfred Hitchcock. Tim Roth plays her husband, Prince Rainier III, with Robert Lindsay, Spain’s Paz Vega and Derek Jacobi filling other roles. The film has been criticized by the royal family of Monaco, with Princess Stephanie of Monaco saying the film about her parents as inaccurate. According to reports, Olivier Dahan also clashed over the final cut with the Weinstein Co, which is distributing the film in North America. There are 18 films in competition for the top prize, the Palme d’Or, which will be handed out along with other prizes on May 24. British hopes for the prize are led by directors Ken Loach and Mike Leigh. Animated sequel How to Train Your Dragon 2 will screen out of competition. This year’s Un Certain Regard section of the competition will feature the directorial debut of Hollywood star Ryan Gosling. Christina Hendricks and Matt Smith are among the cast of Ryan Gosling’s Lost River, a dark fantasy formerly known as How to Catch a Monster. Cannes Film Festival will close with a 50th anniversary screening of a restored print of Sergio Leone’s 1964 spaghetti western A Fistful of Dollars, hosted by director Quentin Tarantino.